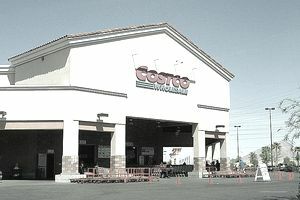 James Sinegal was the co-founder of Costco discount warehouse stores in 1983, and he has been the retail chain’s leader and CEO ever since. Sinegal has kept the company strong against stiff competition from companies like Wal-Mart and BJ’s Wholesale with long-term strategic planning, and solid retail operations tactics. What follows are quotations from James Sinegal which reveal the beliefs and philosophies that guided him as he was building one of the world’s largest and most famous retail chains. "Wall Street is in the business of making money between now and next Tuesday. We're in the business of building an organization, an institution that we hope will be here 50 years from now. Strategic planning is an important part of running any business and the more so for businesses that operate in multiple states and countries." "We're not kamikaze pilots. We want to do things in a sensible fashion. If we can speed up our growth, without outdistancing our management team, and provide a quality product, then we will do so." "Technology has made us much more productive. With computers, fax machines, and cell phones we have more productive time during the course of the whole day and can react to situations more immediately. Sometimes we have so much information it’s more than we can deal with." "Technology helps us become more efficient and productive but our business still has a lot of art as opposed to strictly science." "The reason that the dot-com companies didn't succeed is that they were very good at the science end but they didn't understand anything about the art of buying and selling merchandise. They thought that was the easy part but it turned out to be the most difficult." "We only have one bullet in our gun, the right product at the right price." "This is almost like show business. I mean, every day you're opening up and it's show time." "If you’re a big-picture guy, you’re not in the picture. Retail is detail."